A number of contractors will soon be coming through our house to give estimates for what we intend to be the last major renovation. So it’s probably a good idea if I clean the basement. 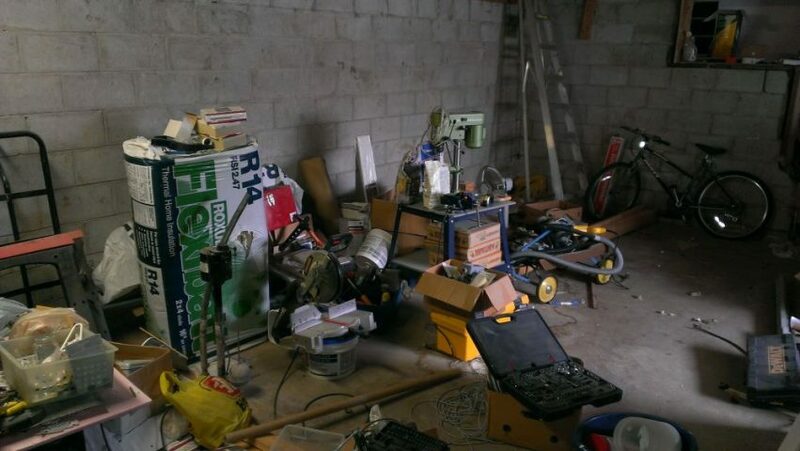 Sadly, this is only one part of the basement and is a testament to how out of control things can get when an area becomes a dumping ground. Out of sight,, out of mind. I only go downstairs a couple times a year, so cleaning and organizing hasn’t been a priority. The house had no garage when we moved in back in 2003. 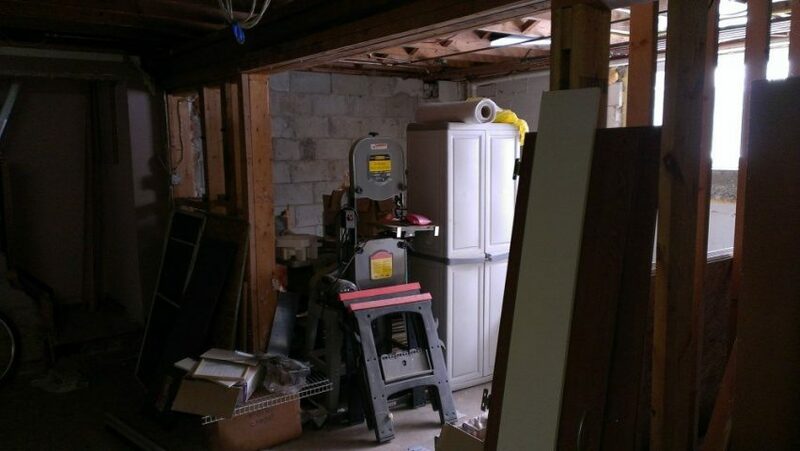 It still doesn’t, which is why I store my woodworking tools in the basement. Behind the band saw is my table saw. The motor and the fence for the table saw are somewhere in storage. Over the years, we have shifted stuff around, but we’ve never completely organized it. As we all know, clutter begets clutter which is how the basement has ended up in its current state. My project is to go through everything and move what I can to storage ad throw out any garbage. I see numerous trips to the dump in my future. Our storage unit was also in need of some editing. 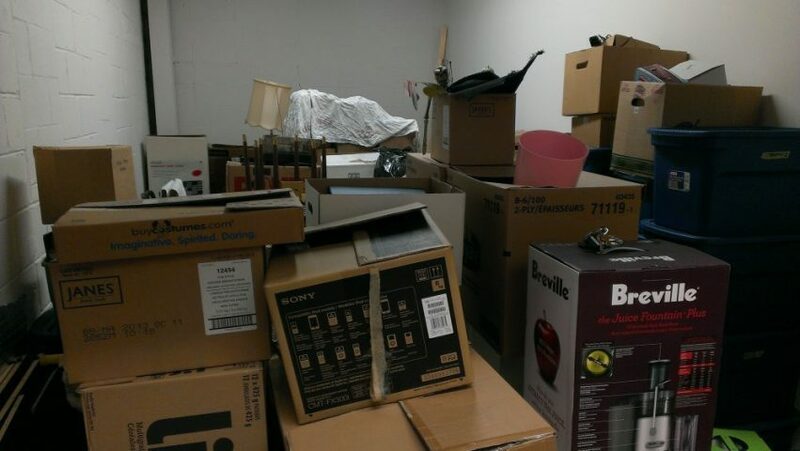 We have a huge 10×20 unit, so space management was never much of a concern. We have had this unit since 2008, after my father passed away. We had stored stuff in his basement since we moved in 2003. Now we had to find storage not only for our stuff but also for the stuff from his house that we kept. According to my records in Quicken, we have spent around $7500 for this unit, which is cheap. We get a “friends and family discount” so we have only paid about half of what this unit normally costs. 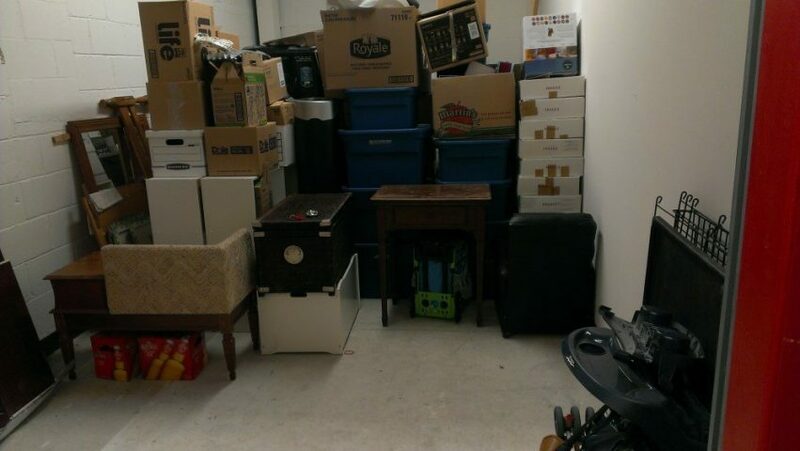 But still, $7500 is a pretty big chunk of change for storing a lot of stuff that we won’t be keeping anyway. Somewhere back in that mess is a dining room suite– table, chairs, buffet and hutch– that we will probably sell for a couple hundred bucks. There are family heirlooms that we want to keep and display in our house. There are boxes of toys that will either be sold at a flea market or yard sale, or end up simply being donated. Once the addition and garage are built, we will empty out this unit box by box and deciding what to keep, what to sell and what to toss. But for now, we need to make room for more stuff…. It took me about an hour and a half to move things around clearing up more than a third of the floor space in the unit. It might have been a good chance to throw some stuff out but there wasn’t enough room to set up a sorting area. Still, there should be enough room for some of the stuff in the basement, plus whatever boxes we pack up from the family room.